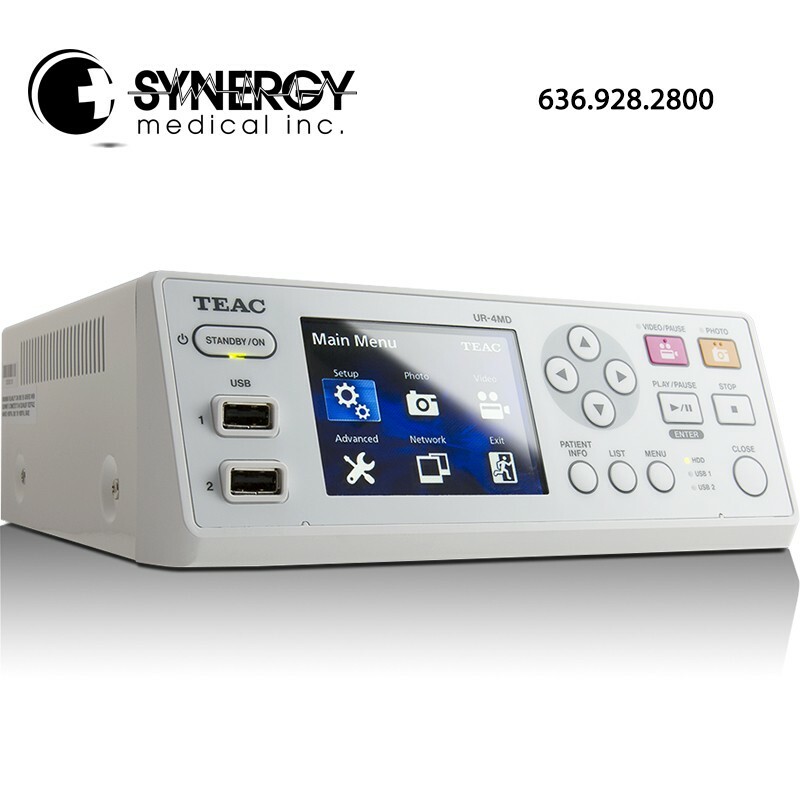 The UR-4MD is TEAC’s latest high-definition medical video recorder designed for quick set up and ease of use, yet includes a robust list of features and capabilities. With auto sensing video connections and automatic video resolution detection, set up for the TEAC UR-4MD is quick and easy. The front control panel allows users to intuitively record videos and photos in crystal clear HD. A built in hard drive is included for reliable recording, data back-up and users can also simultaneously record to USB memory and USB hard drives to archive, share and play back on other devices and locations. The TEAC UR-4MD is also network capable, allowing recorded files to be shard with anyone on the same network. For more information on the TEAC UR-4MD HD Medical Video Recorder, please visit teacmv.jp/en/. SDI (BNC) x1 ∗SDI video input terminal use in common. SDI (BNC) x1 ∗SDI video output terminal use in common.